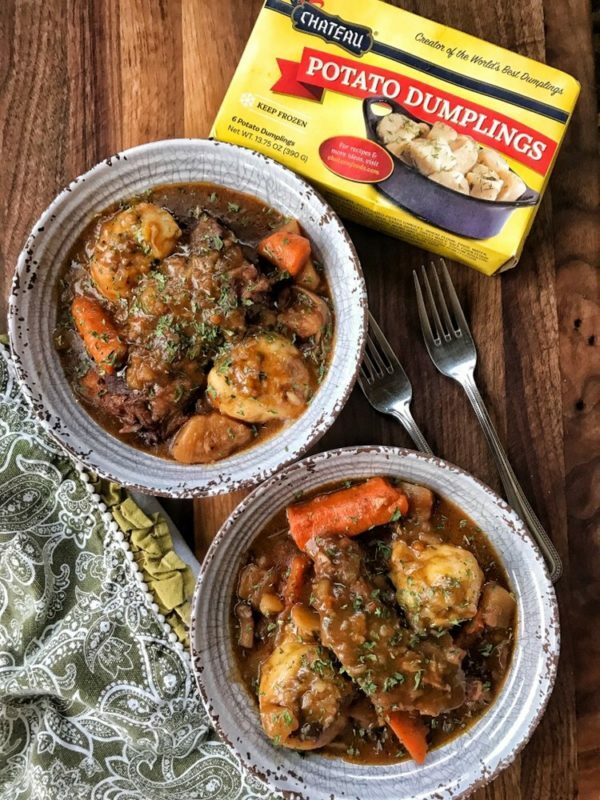 Place everything in your instant pot except for the dumplings. Separate the potato dumplings and place throughout the pot. Release the steam and serve!